Just a quick message to introduce myself. I am into Raspberry pi projects, mostly but not restricted to retro arcades. I've started recently building from scratch a Nintendo cab (not sure which one yet - ideas welcome). 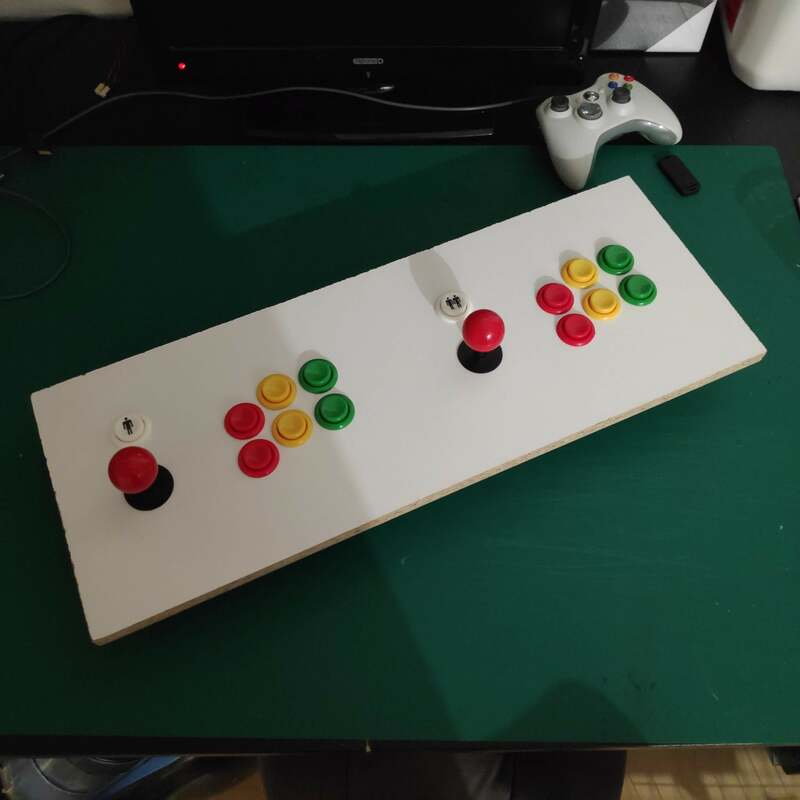 I own and tinker with a medium size CNC router, which I've been using to cut parts of my arcade machine which are hard to cut conventionally (speaker grills, control panels etc). If anyones is into CNC routing I am happy to supply g-codes I've been working on. I recently designed a 2 player (standard 570 width) Nintendo cab control panel with Jap 6 button layout. Image of prototype below, without perspex art. Welcome ! Out of interest what size sheet can you shut ?? Only small projects. Cutting area is only 550mm x 550mm. It's a hobby machine really. Most parts are square for the cab im building so CNC not really needed for a lot of it. I'm going to make a template/jig side panel slightly smaller than full size so I can hand router as many as I want. I can just about drill the holes for a 570mm nintendo control panel.